Just the quickest of blogs to let you know that I have recently loaded all the Detroit Red Wings jersey images, 16 images in total, to Flickr and to Facebook. Flickr: You can see all the Detroit Red Wings jerseys here. Facebook: You can see all the Detroit Red Wings jerseys here. 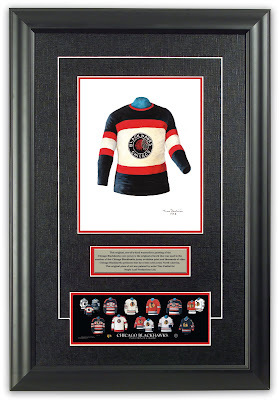 These are highly detailed, original watercolor paintings, created to celebrate the history of the jerseys of the NHL's Detroit Red Wings franchise Initially the Detroit Cougars, then the Detroit Falcons). 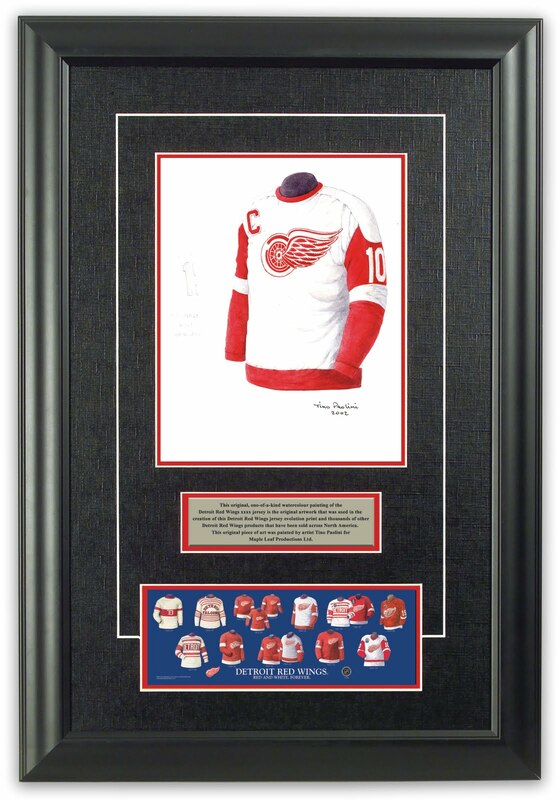 Each of these 16 original paintings, and more than 1500 other NFL, MLB, NHL, NCAA football and CFL uniform paintings, is available for sale at our Heritage Sports Art Detroit Red Wings web page. 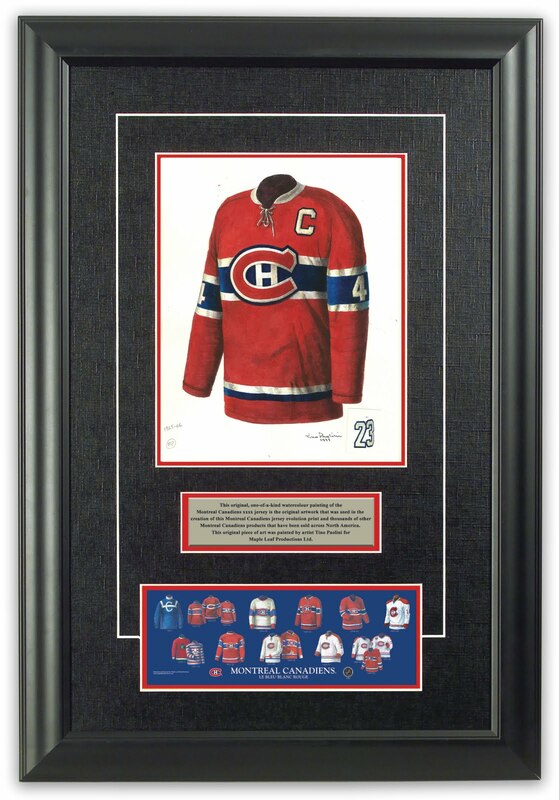 Just the quickest of blogs to let you know that I have recently loaded all the Montreal Canadiens jersey images, 17 images in total, to Flickr and to Facebook. Flickr: You can see all the Montreal Canadiens jerseys here. Facebook: You can see all the Montreal Canadiens jerseys here. 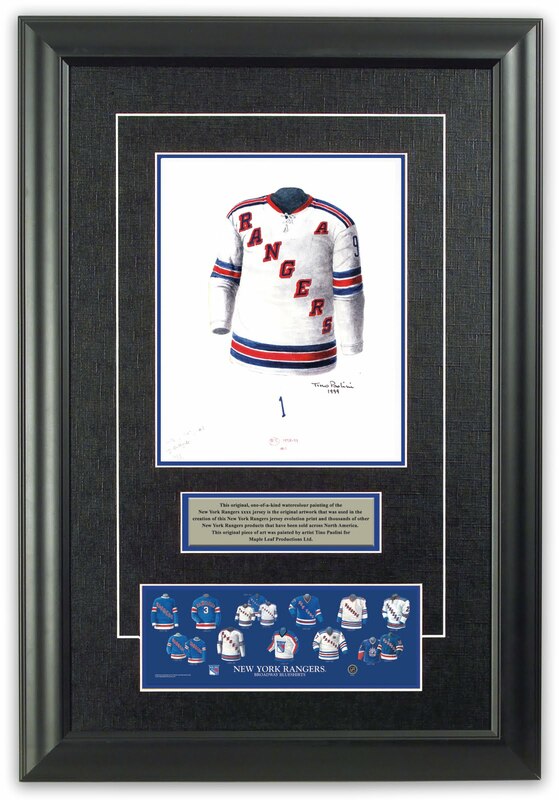 These are highly detailed, original watercolor paintings, created to celebrate the history of the jerseys of the NHL's Montreal Canadiens franchise. 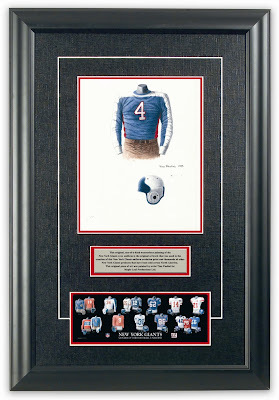 Each of these 17 original paintings, and more than 1500 other NFL, MLB, NHL, NCAA football and CFL uniform paintings, is available for sale at our Heritage Sports Art Montreal Canadiens web page. Just the quickest of blogs to let you know that I have recently loaded all the Philadelphia Flyers jersey images, 14 images in total, to Flickr and to Facebook. Flickr: You can see all the Philadelphia Flyers jerseys here. Facebook: You can see all the Philadelphia Flyers jerseys here. These are highly detailed, original watercolor paintings, created to celebrate the history of the jerseys of the NHL's Philadelphia Flyers franchise. 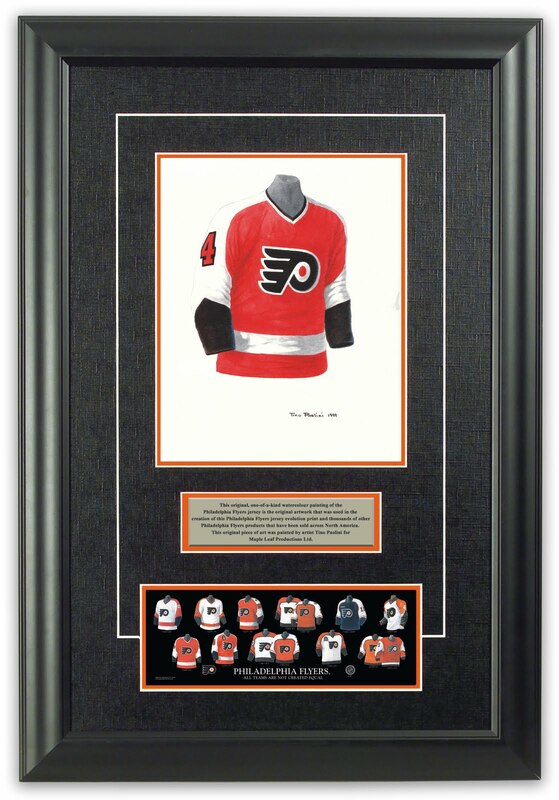 Each of these 14 original paintings, and more than 1500 other NFL, MLB, NHL, NCAA football and CFL uniform paintings, is available for sale at our Heritage Sports Art Philadelphia Flyers web page. Just the quickest of blogs to let you know that I have recently loaded all of our University of Texas football uniform images, 13 images in total, to Flickr and to Facebook. Flickr: You can see all the University of Texas uniforms here. 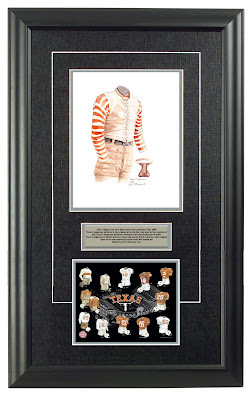 Facebook: You can see all the University of Texas uniforms here. 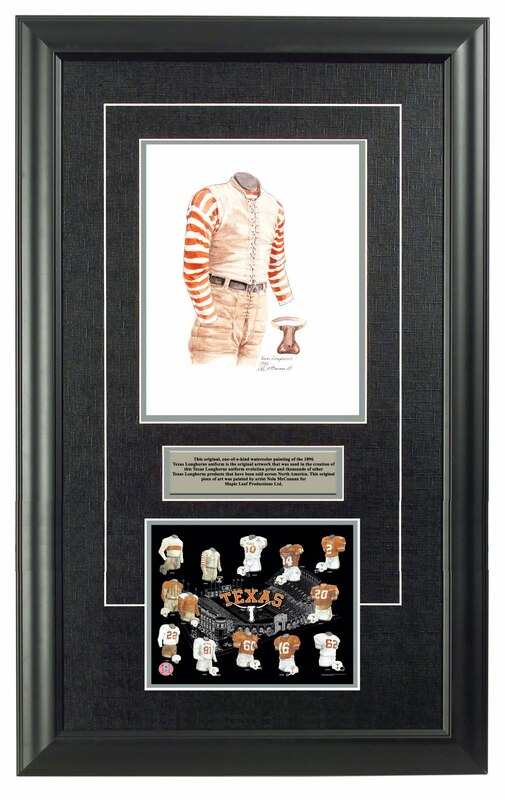 These are highly detailed, original watercolor paintings, created to celebrate the history of the jerseys of the University of Texas. 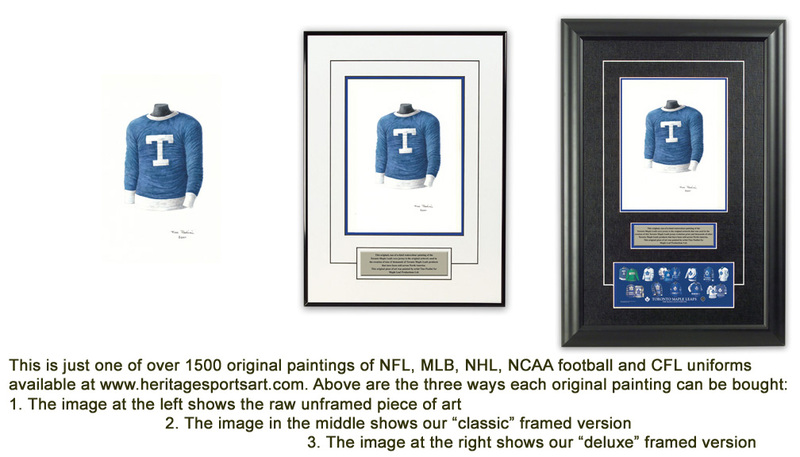 Each of these 13 original paintings, and more than 1500 other NFL, MLB, NHL, NCAA football and CFL uniform paintings, is available for sale at our Heritage Sports Art website. Just the quickest of blogs to let you know that I have recently loaded all the Toronto Maple Leafs jersey images, 17 images in total, to Flickr and to Facebook. Flickr: You can see all the Toronto Maple Leafs uniforms here. 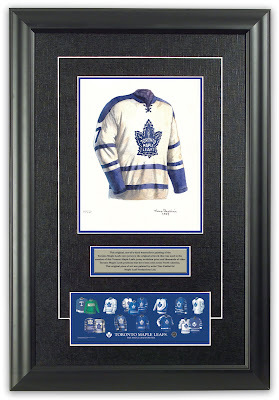 Facebook: You can see all the Toronto Maple Leafs uniforms here. These are highly detailed, original watercolor paintings, created to celebrate the history of the jerseys of the NHL's Toronto Maple Leafs (formerly Toronto Blue Shirts and then Toronto St. Patricks) franchise. Each of these 17 original paintings, and more than 1500 other NFL, MLB, NHL, NCAA football and CFL uniform paintings, is available for sale at our Heritage Sports Art website.